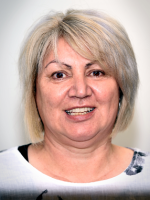 Liz brings a wealth of experience in local government and works closely with Māori, Pacifica and other groups in the Porirua area. Liz was appointed to Wellington Community Trust (WCT) in 2011 and reappointed in 2015 for a second term. She brings to the Board a blend of skills and competencies that arise from direct and active participation in the community. Liz was a councillor on the Porirua City Council (PCC) for 9 years and served as Deputy Mayor. As an Environment Commissioner she chaired the PCC District Plan Review and joint venture with Wellington City Council and PCC Wastewater & Landfill. She held a ministerial appointment to Whitireia Park Board and was a trustee on the Tawa College board for many years. 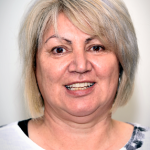 Liz has been responsible for linking health and social service providers to consumers by coordinating relationships for the Porirua Healthlinks Trust. Her current role as CEO of the Porirua Whānau Centre Trust focuses on motivating communities and whānau to participate in, and take responsibility for their own health, education and economic wellbeing. They aim to find responsive strategies to the range of high needs experienced by Māori, Pacifica and low socio-economic groups. She is a business partner with her husband in their company Kelly Hygiene NZ, and also a mother and grandmother. Balancing these equally demanding yet quite different roles is an ongoing challenge to which Liz responds with energy, sensitivity, pragmatism and common sense.